Create unforgettable experiences for your clients with specialized group cruises with MSC's new routes. Enjoy an even richer itinerary across the Caribbean and dive into the local culture of Cuba through the People-to-People educational program. 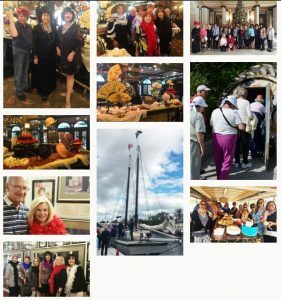 Forgotten Step-Child of Palm Beach - Featuring the new West Palm Beach tour - Step-on tour guide through, docent at museum, little known historic facts about the area, lunch, meal tax & gratuity - Book now. Create an interactive experience with one of our customized special events. Explore the unknown with The Gypsy Madams, or go back in time to classic Victorian times with our Victorian teas, remember the glitz and glamour or the 1940's, or just celebrate the women in "herstory" with these luncheons and teas! For almost 30 years and over 100 years of combined experience, Befitting Just Your Style continues to provide & simplify the planning of a meeting, event, tour or travel program. We work as a seamless transition between clients and vendors to create a one stop hub. Our company is based on customer service, reliability of our networking partners and support of our clients vision. As a one-stop destination management company, Befitting Just Your Style provides our clients with a customized program for each activity. We respond to your needs and provide you with a detailed plan. We focus on the details so that our clients can focus on the experience. Take a moment to see what we do – Befitting Just Your Style! Check out what we have been doing this last season!